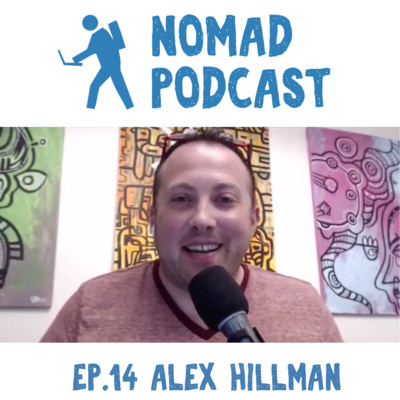 For links, show notes, transcript, photos and more visit: https://nomadpodcast.com/alex-hillman-30x500/ Funding is typically the biggest roadblock that precludes more people from living the nomadic lifestyle. Unless you have massive savings you'll need a fountain of income to sustain you during your travels which means either a) taking a job or b) making a job for yourself. 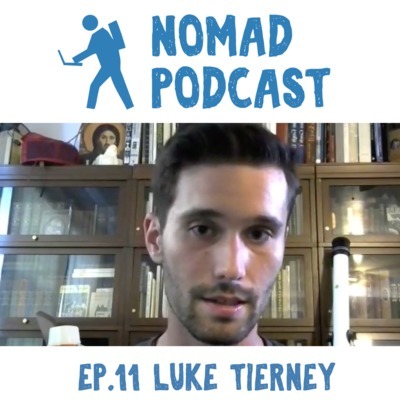 We covered option A with Luke Tierney of Nomad Playground. Today we're covering option B with Alex Hillman of 30x500. Alex is cofounder of an academy designed to take first-time entrepreneurs from zero to $15k in sales. In this interview we discuss the pitfalls commonly faced by new entrepreneurs, the gist of the 30x500 method involving an intensive "Sales Safari" market research phase, construction of eBomb lead magnets, list building, the strategy for product development, crafting a winning launch sequence and ultimately all that's involved in making your first $15k in revenue. Alex and his partner Amy have coached hundreds of students and are indirectly responsible for millions in sales by virtue of cultivating skills of successful entrepreneurship in these folks. Please enjoy our conversation. 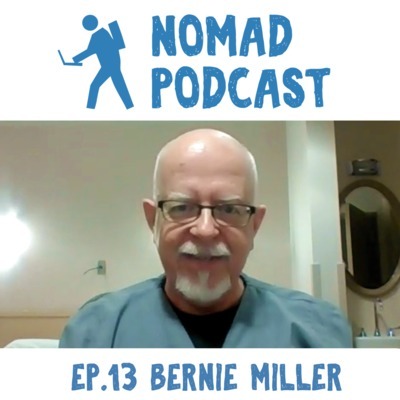 For links, transcript, show notes and interactive video questions visit: https://nomadpodcast.com/bernie-miller-mayo-clinic/ Getting good sleep has a dramatic impact on one's quality of life. 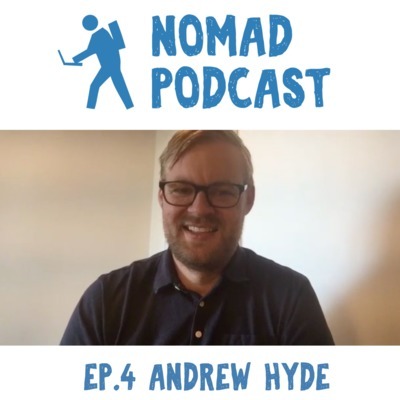 It can be particularly challenging in the nomadic lifestyle to get consistently good sleep when you're bedroom environment is constantly changing. Today we talk with Bernie Miller, a sleep specialist at the Mayo Clinic in Arizona, about things you can do to ensure you get the best possible sleep while on the road. In this conversation we cover ramifications of getting poor sleep, the factors that contribute to getting good sleep, the distinction between REM and deep sleep, pro's and con's of various natural and artificial sleep remedies and how to know when it's appropriate to seek an appointment with a sleep specialist. With seventeen years of experience Bernie is a domain expert and very knowledgeable on this subject. Enjoy our conversation. 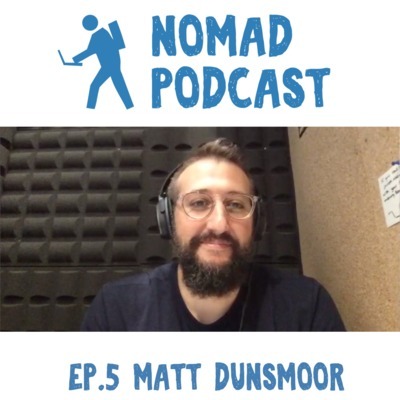 For links, show notes, photos, transcript and more visit https://nomadpodcast.com/kara-mosseso-nomaidc-nourishment/ Health and wellness on the road can be tricky when you don't have the luxuries of your home kitchen. 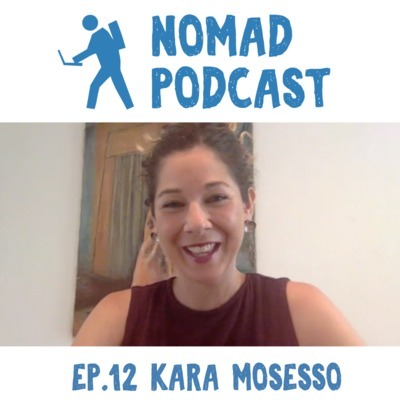 Today we're chatting with Kara Mosseso of Nomadic Nourishment on the topic of how to maintain a healthy diet while on the road. Kate travelled with Remote Year Kublai for a year and now runs a nutrition and health coaching business on the side of her full-time job as a registered nurse. In today's conversation we delve into topics around maintaining a healthy diet abroad, resources for meal planning while on the road, the value of a primarily plant-based diet, sources for information on evidence-based nutrition, techniques for making lasting habit changes and more. Kara challenges listeners to take her 30-day plant-based challenge (I'm trying it) and shares a number of useful resources (linked in the show notes) for learning more about these subjects. Enjoy! For photos, links, show notes, interactive video questions and transcript visit: https://nomadpodcast.com/greg-caplan-remote-year/ ‎ What's it like to be at the helm of the aircraft carrier in the space of nomadic travel programs? 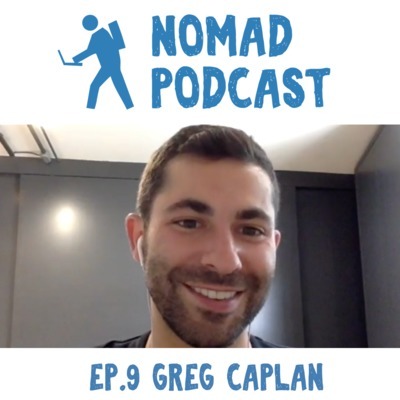 Greg Caplan is CEO of Remote Year, a travel program platform that is working to create a more peaceful, productive world one group of nomads at a time. 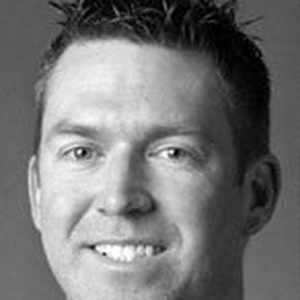 Greg had a unique upbringing that gave him early familial exposure to youngsters from many different cultures. Years later he and his co-founder Sam Pessin tried an audacious experiment posting an idea to Reddit that quickly gained interest and went viral garnering 50,000 applicants for the first Remote Year group. In this interview Greg talks about the origin story of Remote Year, the RY values and mission, what they're doing to promote diversity and inclusion amongst both their participants and employees, the future of their "Citizen Program," analysis of some of the macro trends in the space and more. 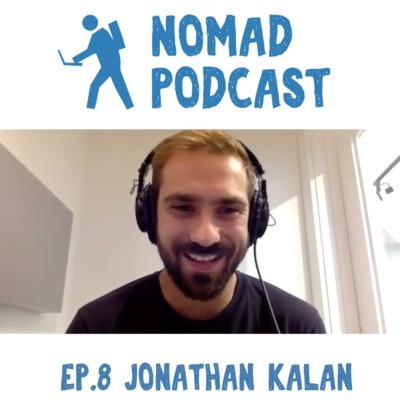 For photos, links, show notes, transcript and interactive video questions visit: https://nomadpodcast.com/jonathan-kalan-unsettled/ Science shows there are neurological benefits to blowing our own minds on a consistent basis and that, conversely, failing to do so causes brain atrophy Jonathan Kalan joins us today from Unsettled, a semi-structured retreat program with activities co-created by its participants designed to inspire and cultivate personal and professional growth. 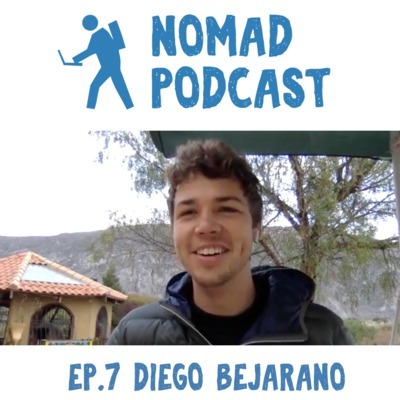 Jonathan was a photojournalist in a past life exposed to different perspectives in his coverage of events around the world and felt compelled to develop a platform that would help others gain perspective from traveling. 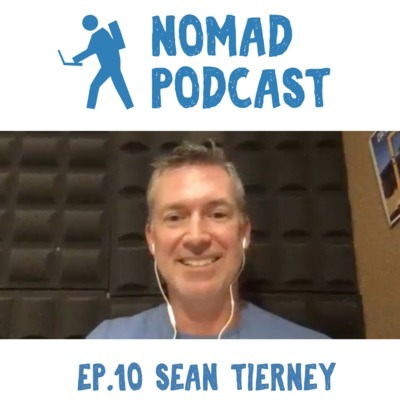 In this interview Jonathan shares what it was like going through the TED Residency program in the early days of Unsettled, the value of diversity amongst their program participants, how their retreats work, who they're best suited for and his take on the future of the nomadic travel space. Enjoy! 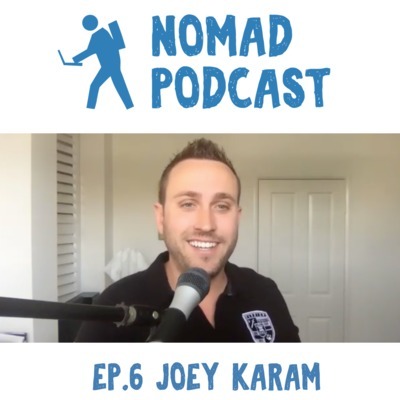 Find time-stamped show notes, links, photos, audio transcript and more via this link: https://nomadpodcast.com/joey-karam-krav-maga/ In this episode world-renown Krav Maga instructor Joey Karam talks with us about the basics of situational awareness, avoidance, de-escalation, social vs. asocial violence, physiological responses to combat situations, escaping freezes, and the mindset of what it takes to escape with your life from a threatening situation. 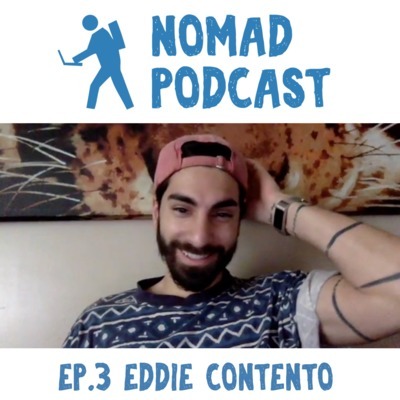 http://nomadpodcast.com/eddie-contento-remote-year-darien/ Eddie Contento shares insights from his time traveling the world while working for a consultancy and creating compelling videos for his vlog. Visit the link above for video, photos, links, show notes, interactive video questions, transcript and more. 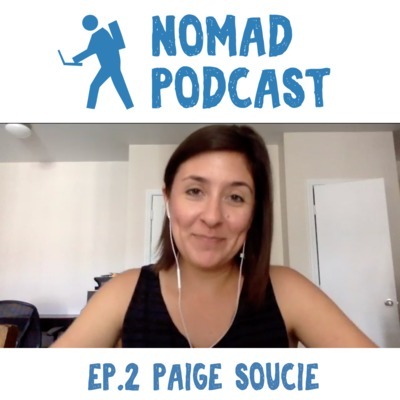 http://nomadpodcast.com/paige-soucie-remote-year-cousteau/ Hear from Paige about the challenge of building a startup from the road. Video, links, show notes, transcript, photos and more at the link above. 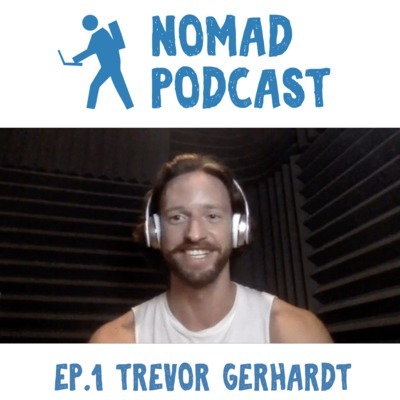 http://nomadpodcast.com/trevor-gerhardt-of-ryog/ This is the first episode of Nomad Podcast with Trevor Gerhardt of Remote Year "OG's" Find links, show notes, photos, transcription and more at the link above.